Before we dive into the results of our food drive, it’s important to understand why WEI StepsUP chooses to support End 68 Hours of Hunger and what they do. As reported by No Hungry Kid, “More than 13 million children in the United States live in ‘food insecure’ homes, according to recent research from the U.S. Department of Agriculture (USDA). That means those families don't regularly have enough food to eat, the most basic of all human needs.” In New Hampshire alone, nearly 13 percent of children live with food insecurity. 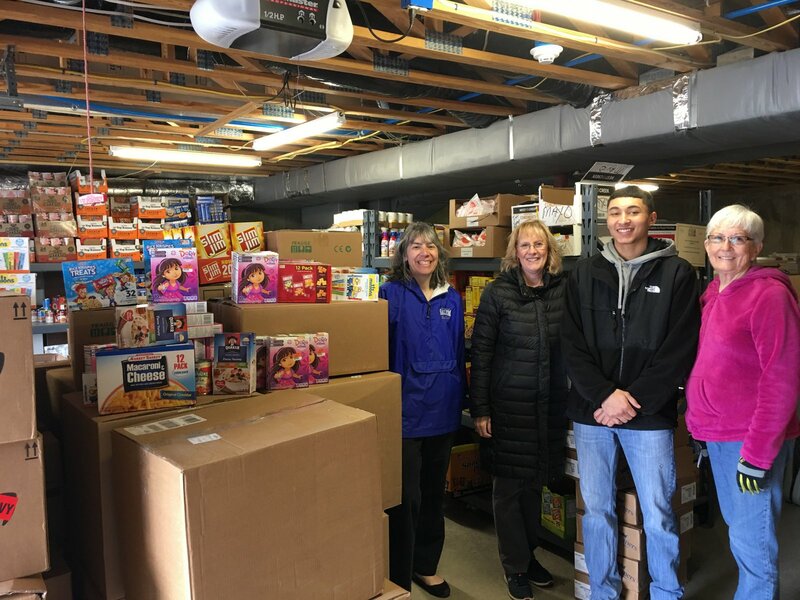 WEI does this food drive each year to ensure the 85 food insecure children from 37 families from across the Salem, NH School District (preschool through 12th grade) have enough healthy snacks and meals to get through their school vacation week in April, and beyond. Our efforts are able to make a significant impact on our local children who need it the most. We wrapped up our annual End 68 Hours of Hunger food drive earlier this month and were blown away to see we tallied more than 43,000 items donated! That’s more than 10x the amount we collected last year! WEI’s donations alone completely filled the organization’s warehouse at Salem High School. It’s an incredible feat and will surely make for many appreciative children and grateful families. Not only were we able to provide the 37 families within the school district with food for the April spring school vacation week, but our donations are going to help beyond that break. The non-profit fills backpacks for families every Friday of the school year to send kids home with food, which our donations from this food drive will easily be able to fulfill. How were we able to collect so many items? Well, a little healthy competition helped the cause. For this year’s food drive we split up the company into teams, with people representing each department. This was a great way to ensure our employees were able to work together with those they may not see and work with every day. The incentive for the team that collected the most amount of items: a full breakfast spread cooked by our COO and VP of Sales. The motivation to help children in our community coupled with this factor pushed the teams to gather the astounding number of items. The team who collected the most donated a total 7,000 items! WEI is more than an IT consulting company. We care about our community and are always looking for ways we can help make our neighborhoods, and the world, a better place. 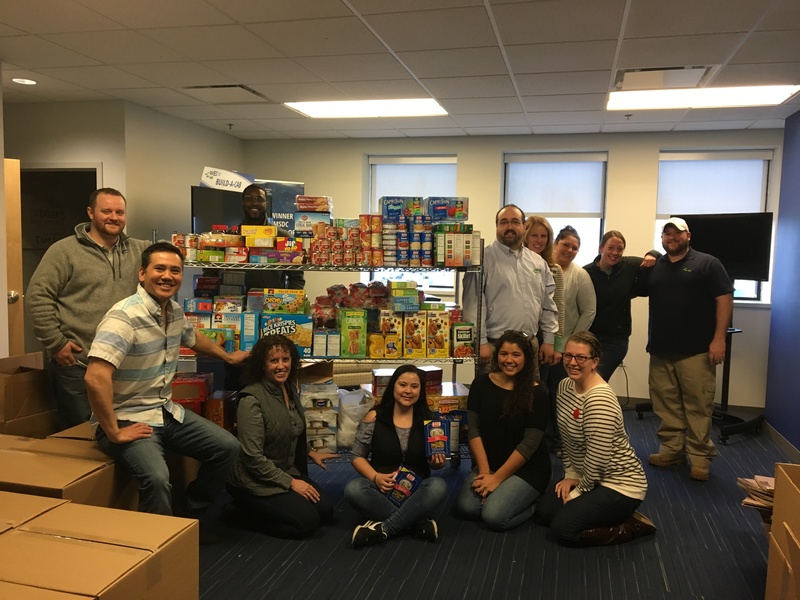 This year’s food drive was one for the books and we’re proud of our employees for making such a huge impact in our local area. Click the button below to learn more about more WEI initiatives!